When shopping for a speedy cash advance, keep in mind that instant does not always mean instant. Many lenders will lure you in with claims of instant cash advances, but then they will require a waiting period of 24 hours or more. 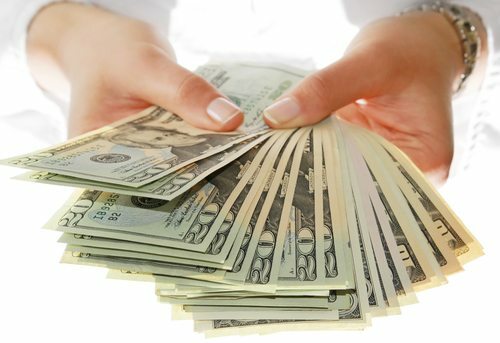 If you truly want an instant cash advance, visit Advance Paycheck Online. When we say instant, we mean it. We are proud to provide our borrowers with a very prompt service, immediately sending the requested funds to your bank account. With our instant service, you won’t be left waiting, wondering when your funds will finally arrive. Cash crisis averted! If you need a little extra cash before your next paycheck, you might be interested in an instant cash advance. Essentially a short-term loan that can be easily obtained, an instant cash advance is quick and convenient. However, some advances are quicker and more convenient than others. To put cash in your wallet as soon as possible, contact Advance Paycheck Online. In an instant, you will have the money you desperately need. Also known as instant personal loans, an instant cash advance is a small and unsecured loan that allows the borrower to withdraw cash up to a certain limit. The service is tremendously convenient if you need cash quickly. In addition to paying back the amount you have borrowed, you will also, of course, need to pay interest on the advance. Typically, interest begins building immediately after you take out the cash advance. To lower the overall cost, limit the amount that you withdraw and do your best to repay the loan as quickly as you can. Instant cash advances are typically used in emergencies, when someone needs money quickly and requires cash. They offer a convenient solution to a short-term problem, helping tide over borrowers until their next payday. Different lenders specify different limits for cash advances, and many require a fee for the service. Before you request an instant cash advance, be sure to read the terms and conditions carefully to ensure that you understand the many details involved. Apply for cash now! Instead of waiting around for another lender to get back to you, contact Advance Paycheck Online if you’re eager to receive an instant cash advance. Residents of Illinois, Utah and Wisconsin can receive cash immediately, in minutes or even seconds. Simply give us a call at 1-815-436-4242 or apply now online.